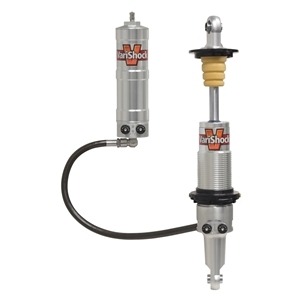 4.25 Travel Quad Adjustable Remote Reservior Coilover For 2-1/2 Id Springs, 12.06" To 16.31" Length, 1/2 Bore x 1" Wide Com-8 Bearings In Both Eyes, KCCD Valving, Shock Assembly With Coil Spring Seats. Note: Used in TCP Front Coil-Over Conversion System (TCP FCOC-FD). All specifications and prices listed throughout the website and linked documents are subject to change.